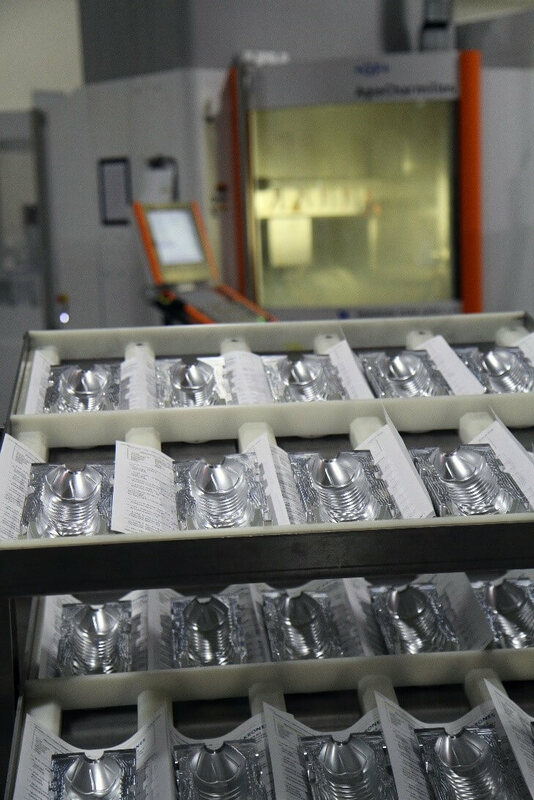 Streamlining its manufacturing processes, world-leading manufacturer of technology for liquid Consumer Packaged Goods (CPGs), Krones Inc. continues to grow by taking advantage of new technologies and connecting systems to work better and faster. Using their mold-making 5-axis machining area equipped with HEIDENHAIN TNC controls as part of a worldwide pilot process for the past three years, Krones Inc. manager John Vincent, based in Franklin, WI discusses how they are now working with these systems in a global manner. Vincent explains how his approximately 8,000-square-foot mold-making area at the Krones Inc. 300,000-square-foot facility is currently equipped with four HEIDENHAIN iTNC 530-controlled machines that make the molds doing the cavity work. Krones’ John Vincent, Head of Manufacturing Technologies for Krones Inc., North America. 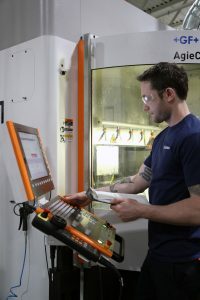 This area also includes two smaller auxiliary machines, their own Quality Control department with CMM for inspection work, and an assembly area. Here in Wisconsin, Krones Inc.’s current primary role is to manufacture and supply parts for its large blow molding, filling, labeling, and packing technology installed throughout North America, Central America, and the Caribbean. 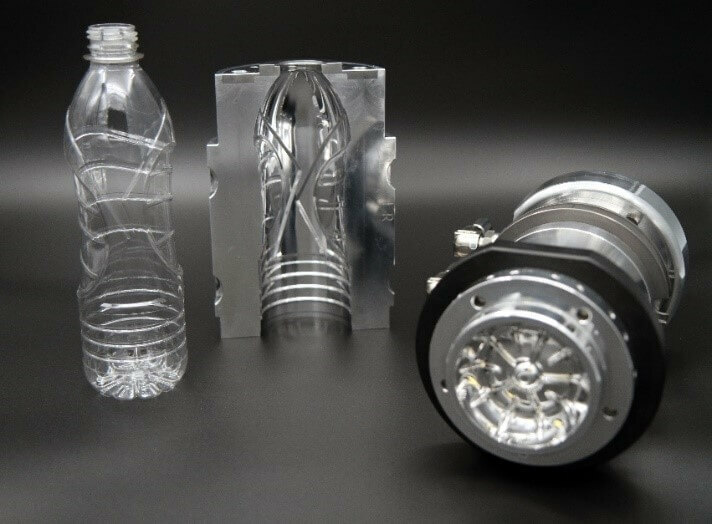 Common jobs in the mold-making department include manufacturing molds for stretch blow molding machines for PET plastic bottles for water, soda, and other liquid products. Typical part lot size is 40 pieces (20 mold sets) in an average cycle time of four hours. As part of the pilot program that started three years ago, Krones Inc. has undergone steps to connect to its Krones Group affiliates in China and Germany. 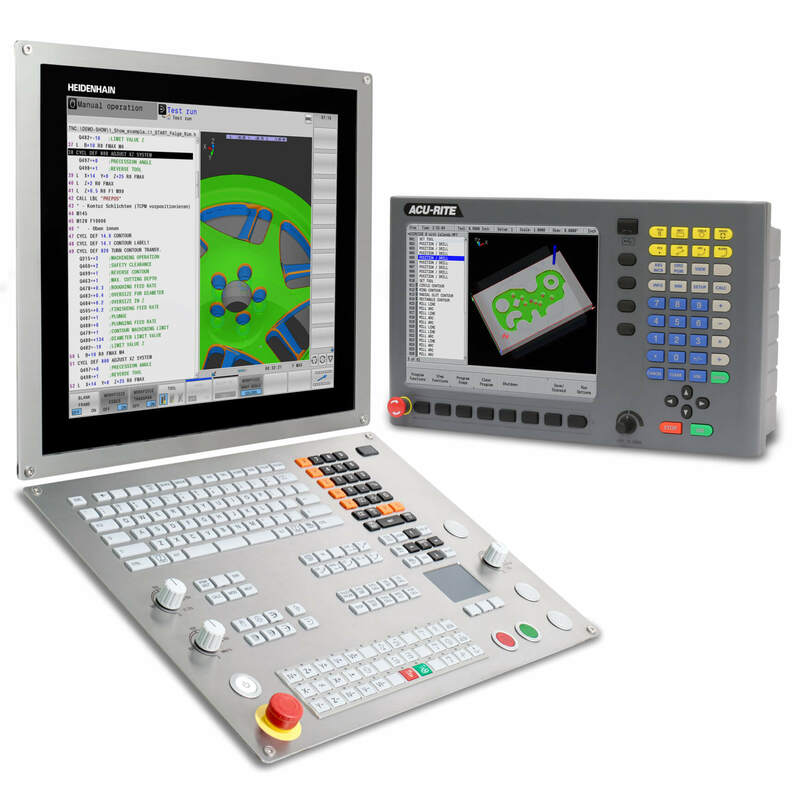 Utilizing a FORCAM digital software system (similar to HEIDENHAIN’s newly introduced StateMonitor), Krones Inc. staff has programmed the HEIDENHAIN controls in each of these three locations to connect and interact with each other when called upon to do so. 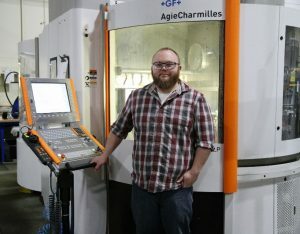 “This set up allows us to measure the actual usage of any machine at any time, and when they stop, there are protocols provided for next steps including the ability to enter costs codes to track why it stopped, so there’s connectivity between all the machines,” said Vincent who explained there are actually about 65 CNC-controlled machines throughout his entire Wisconsin location. “I think it is important to note that we have done tests in the mold-making department where we’ve run programs from both Krones in Germany as well as Krones in China that were selected within our software systems and were able to run them here in Wisconsin just fine! This is particularly helpful for customer development work. Krones Inc. has been utilizing the HEIDENHAIN TNCs in their mold-making departments for some time, with change-outs to updated machines approximately every five years. “I’m a huge fan of the HEIDENHAIN controls,” explained Vincent. “Particularly in the mold-making industry, these controls definitely have a leg up on the competition as far as being able to achieve excellent and accurate surface quality at high speeds. Here, Krones Inc. staff is utilizing the extended tool management feature where they can load and unload from the list of tools by simply dragging and dropping with the computer mouse. A tool usage list provides more details, and an import function allows for reading and exporting CSV files. A Krones’ mold for plastic bottles. 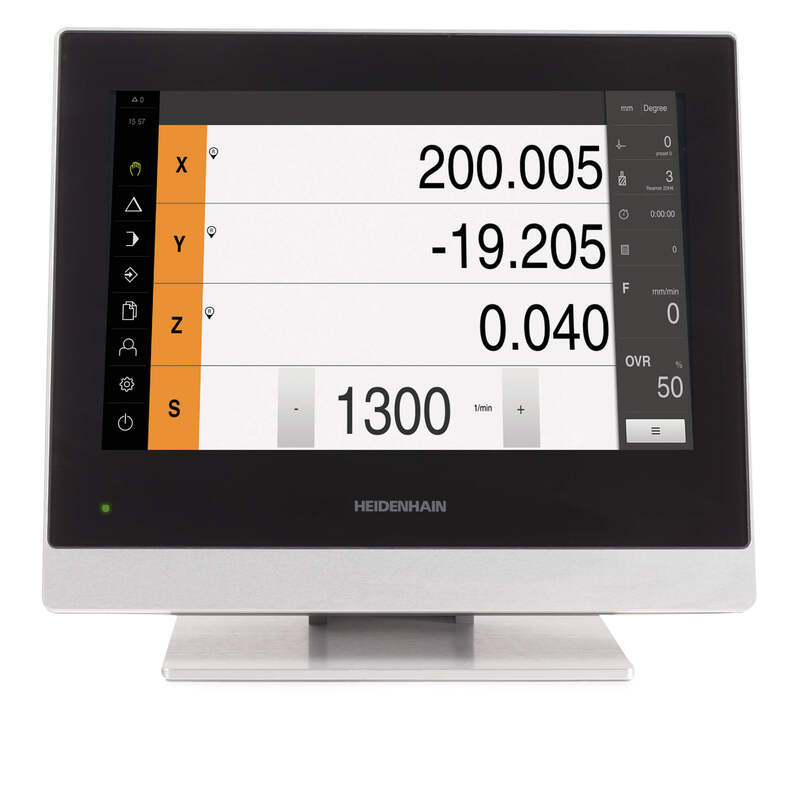 Another important TNC control feature used by Krones Inc. is the HEIDENHAIN DNC option, providing the ability to communicate with external Windows applications. In use as well is the Remote Desktop Manager, which provides the user the opportunity to operate one or more Windows PCs directly from the TNC. “We use the TNC Remote commonly to load programs into the machine’s control from various locations,” explained Vincent. Aside, Vincent also describes another unique manufacturing system at Krones Inc. that utilizes an iTNC 530 in a different area in the plant. This one is incorporated on a machining center producing pallets for labeling machines that applies labels to bottles, such as beer bottles or BBQ sauce bottles. “In this system, we actually configured a waterjet into a 5-axis machining center. We were able to use the features in the TNC control to create multiple setup kinematics to handle using the normal milling spindle as well as the separate auxiliary waterjet feature. We are using a GF Mikron machine with a pallet changer (up to 21 parts), and all the data is set up so that an operator can pull in the appropriate program so that the machine moves successfully between milling and water jetting as needed. It’s working out great! “This connected machining has really been going strong on a daily basis here at Krones over the last year, and we are now working to expand it to other departments,” added Vincent. To keep this large organization at the top of its game, Krones’ culture includes daily employee support and training as needed. Krones’ Ryan Anderson at mold-making center on HEIDENHAIN TNC. Vincent explained that Continuous Improvement programs where employees meet in groups weekly are part of this process. He also adds that both in-house and external machine training is provided to Krones employees. Last year, for example, eight Krones Inc. employees were sent to HEIDENHAIN’s North American headquarters in Schaumburg, IL, to participate in a four-day TNC control training week where they were able to enhance their skills and learn tips to do even more. Since HEIDENHAIN keeps these classes small and customized, Krones was able to have a dedicated trainer to themselves the entire time.